Need To Find A Professional Midlothian Painting Contractor? It won't be long before Thanksgiving, Christmas, and the New Year has come and gone. How's your home or business looking for the holidays? Does the interior and exterior of your property look as good as you'd like? It may be time to consider painting, power washing, or deck and fence staining. Painting is a great project to tackle if you want to sharpen up the beauty of your home or business. Finding an experienced Midlothian painting contractor is important. The best results come from professionals with industry experience. 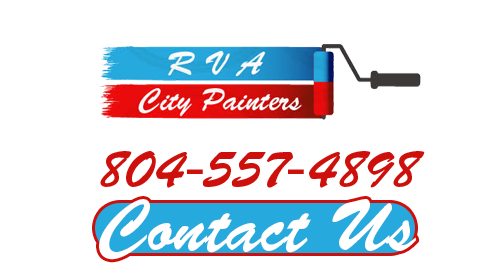 RVA City Painters brings over 30 years of experience to the table. We have the expertise for both residential and commercial painting in the local area. We would love to enhance the beauty of your property so it makes you proud. Interior and exterior painting projects can be difficult. It takes time and requires a lot of physical stamina. You may be better off leaving the work to a professional contractor. A professional painting contractors can handle the work with ease, especially when they have more than a few years experience. Plus, you'll have exceptional results. Call on the Midlothian painting contractors with more than 30 years of experience -RVA City Painters. Commercial painting needs to be handled with great care. If there are any mistakes or the work is sloppy, it will be extremely evident to customers. Bad workmanship reflects badly on the painting contractor and leaves the owner unsatisfied. Painting not only requires experience, it takes artistic passion. You'll have nothing but exceptional results with RVA City Painters. Our Midlothian commercial painting contractors are highly skilled and experienced. Let our expertise and passion transform your commercial property into a noticeable, attractive business.